Our goal here at Lakeshore Helicopter is to provide top quality instruction. Our philosophy is to hold pilots to high standards, not just to “Pass the Test.”. We realize that there are many ways to teach flying. We will expose you to different flight environments and conditions, teach you multiple profiles, and increase your skill level. Our goal is to make you a safe, competent, experienced and confident pilot. We have many years and thousands of hours of experience doing all kinds of work and it is that experience, which allows us to give you that unique training.Our instructors are here because they want to teach and to pass on that knowledge, not to put hours in their logbook. The instructors at Lakeshore Helicopter are pros who enjoy teaching and are eager to answer whatever specific questions you might have about your flight training. 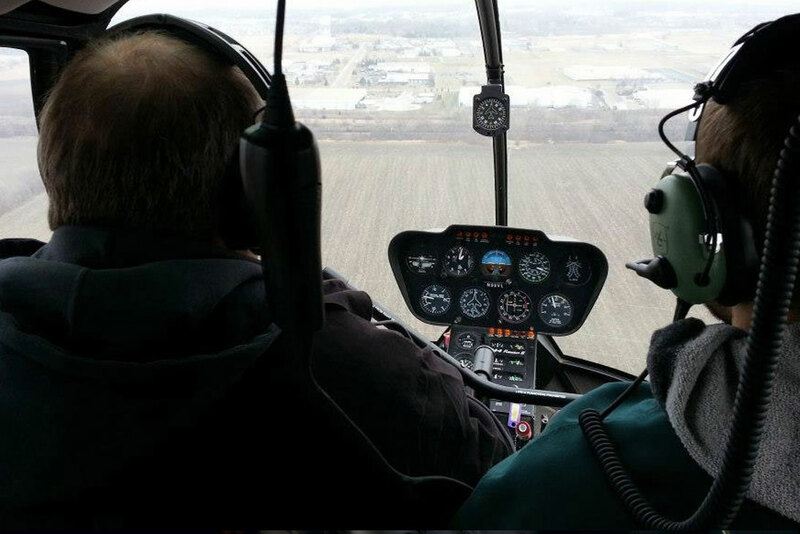 The Southeast Wisconsin area is a great place to learn to fly helicopters. Having the four different seasons and being next to Lake Michigan, a pilot will gain that necessary experience of dealing with the weather. We have it all. When other flight schools and instructors are grounding their aircraft because of a little rain, we’re just getting started. We will teach you how to deal with the weather along with Whiteout and Blackout conditions, and also teach you when it is necessary to put the aircraft on the ground. Kenosha airport is a small airport with a control tower. Its controllers are friendly and understanding. This combined with the rural setting, makes for a relaxed, fun atmosphere and a good place to learn tower procedures. Being located between Milwaukee and Chicago, this also gives us the flexibility to teach in any environment from the crowded airspace of Chicago to the small uncontrolled airports of rural Wisconsin. Our instructors having a vast background of flying experience, ranging from Crop Dusting to Charter. They have developed exercises that are fun and teach the skills required for the demanding world of helicopteCr flying. You will learn how to finesse and feel the aircraft through maneuvers along with many advanced maneuvers (e.g. Enhanced and Touchdown Autorotations, etc.). This will make you a smoother, more confident pilot that gives you a real advantage when the flying requires a higher work load. Our only problem, “no mountains for high altitude training”, but we manage to solve that with one of our instructors being a qualified ferry pilot for Robinson Helicopter. He has developed a Cross Country Mountain Course that teaches all aspects of mountain flying. For those that can take advantage of this opportunity, it is a great way to build time inexpensively, while gaining valuable experience. We also offer initial Night Vision Goggle Certification and re occurrant training. You’ve taken that big first step and made the decision to get your helicopter license, and now you’ve got questions. Lots of questions! We’d like to help you by answering a few of the basic ones here. Select a link to the right for more information on that subject.